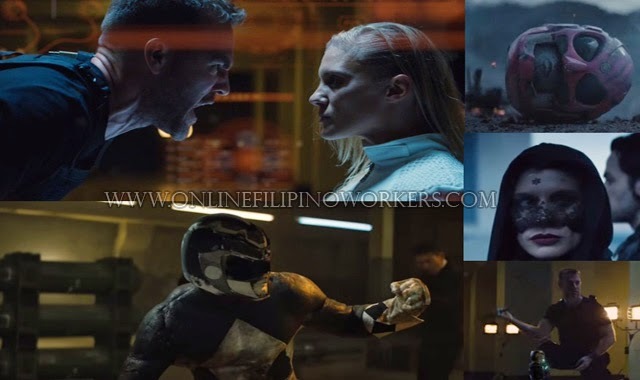 The newest reinvention of Power Rangers’ Mighty Morphin series recently posted on YouTube had stirred various reactions from fans all over the globe. Director Joseph Khan had created a rather disturbing yet interesting Power Ranges fan film expressing his idea of what had became of the group of teen superheroes years after defeating the galactic witch Rita. As many 90’s kids could remember, Mighty Morphin Power Rangers is about a group of teens given the power to change into colorful suits with arsenals, giant robots and other weapons to catch the evil galactic witch Rita. To defeat the Rangers, Rita had put a spell on Tommy, Jason’s rival in Martial Arts competition, and made him an Evil Green Ranger. Tommy was able to break the spell and went to side with the 5 Rangers, using the powers given by Rita to defeat her. Still circulating the original plot, Khan had co-written a rather no ordinary dark fan fic with James Van Der Beek and Dutch Southern. Years after fighting Rita, the film described by Khan as ‘bootleg experiment’, showed Rocky, the second Red Ranger played by Beek, interrogating Kimberly ( Katee Sackhoff) who chained in a chair. During their conversation, it was revealed that Rocky had turned his back from the Rangers. Trini, the Yellow Ranger, had passed away while drug addicted Zack, the Black Ranger, had missed fighting and decided to join the elite force to eradicate the resistance. Zack was later on shot through the head by an unknown assailant. Billy, the Blue Ranger, seemed to have shot himself while Jason, the Red Ranger, was murdered by the bullies Bulk and Skull. Rocky used Kimberly as a bait to hunt down Tommy, whom he seemed to think had murdered the other rangers. While blood, gore and drugs were new to the short clip, nobody could have prepared the viewers of the twist in the end. The fan fic clip of 14 minutes had simply showed Khan’s idea of high school students given deadly weapons at a young age and was forced to fight a war will likely to end up growing as very disturbed adults with Post Traumatic Stress Disorder. The film was not created for profit but Saban Brands had asked Vimeo to take down the clip for copyright infringement.